The word insinuates itself into paragraphs. It needs excising unless it’s really doing its job. 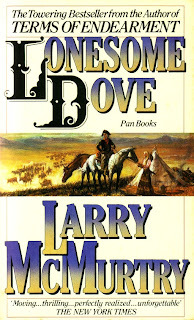 Take, for example, a paragraph in Lonesome Dove (again, I’ve recently read it so it’s readily available with an example; many other books, mine included, probably have similar paragraphs that still need further editing). … For a moment his spirits rose, just from the sound of Gus’s voice. It was Call and Gus, his old companeros. It was just a matter of making them realize what an accident it had been, him riding with the Suggs. It was just that they had happened by the saloon just as he was deciding to leave. If he could just get his head clear of the whiskey he could soon explain it all. Just too many repetitions (5), I feel. Such repetitions are referred to as word echoes – they’re hovering around in the writer’s head at the time and spill out at the slightest provocation. Self-editing should cut them down – or remove them altogether. Anon, I'll supply a few other echo words that crop up too frequently. We’re all told to maintain a consistent character Point of View (POV) within a scene. There's a good reason for this and, for genre fiction, the advice makes sense. The reader is involved with a particular character in his or her head. Jumping from one character’s thoughts into another’s breaks that tenuous link and reduces the reader involvement. When first writing a scene, it’s possible that you’re not sure whose POV to use. Once it’s down on the page, then decide – usually the person who is affected the most emotionally. If you’re sticking with a single character POV throughout the novel, then there should not be an issue – but make sure no other character’s thoughts creep in! Here’s a brief excerpt from Broken Silence, a first novel by Danielle Ramsay. Then the narrative switches back to Brady’s POV. Moral: double-check your POV stance. If that switch is really important – divulging another character’s secrets or inner turmoil, think about making a ‘scene break’. Or convey the other character’s thoughts in dialogue and body and facial responses. Or consider using the character’s thoughts elsewhere, when it’s that character’s longer consistent POV. Usually, though, you can delete these POV switches without much loss to the narrative – and thus maintain a consistent link with the reader. The adage for a public speaker is ‘I’ll tell you what I’m going to say, then I’ll say it, and then I’ll tell you what I’ve said.’ Fine, that kind of repetition is to register the salient facts with the audience. Some writers tend to follow this adage, and I feel they’re doing themselves a disservice. They tell us what is about to happen, then show us. In fact, any dramatic effect has been lost. Any number of books can be used to make this point – including my own, I’m sure. Anyway, take, for example, this excerpt from Lonesome Dove. I’m only using this book as I’ve just read it, and it’s well worth reading. (I’ve removed the character name, so as not to spoil it for any subsequent reader). So there’s half a page of dramatic, suspenseful writing, but it’s wasted because we already know the outcome. There’s probably a name for this literary device that anticipates and waters down the dramatic scene. I’d much rather delete that first sentence and show the reader through the character’s eyes and emotions how he came upon the three ‘stiff in death’. Those brave heroes of Fukushima who risked high radiation to battle the nuclear disaster in Japan have won Spain’s prestigious Prince of Asturias Concord prize this month. On 11 March this year, the towering wall of water from the tsunami battered the cooling systems at the Fukushima Daiichi nuclear plant, triggering reactor meltdown and leakage of radiation into the environment. Tens of thousands of people within a 20km radius were evacuated, but selfless workers endured high doses of radiation to combat the crisis. As a result, many workers developed chronic pathologies such as arrhythmia and hyperventilation. The jury identified three groups of heroes of Fukushima: the 50 volunteer employees of the plant operator Tokyo Electric Power Company; the firefighters who worked to cool the reactors; and the Japanese armed forces who dumped water on the reactors from the air. The original fifty who stayed on at the plant swelled by a few hundred as time passed. Winners of the Prince of Asturias Award are endowed with 50,000 euros, a sculpture and a diploma. The actual presentation will be made by Crown Prince Felipe, the prince of Asturias, later this year. A quotation at the front, from TK Whipple, Study Out the Land, perhaps sums up McMurtry’s intention. “Our past still lives in us … what they dreamed, we live, and what they lived, we dream.” McMurtry seems intent on debunking the myth of the cowboy; here we find they’re ordinary, not particularly bright, with simple empty lives in a gritty unforgiving world devoid of much culture. Yet, despite this, some of his characters grow into mythic proportions. Going on, though belabored by heart-rending grief, is heroic, and that’s what many in this book do: go forward, go on. 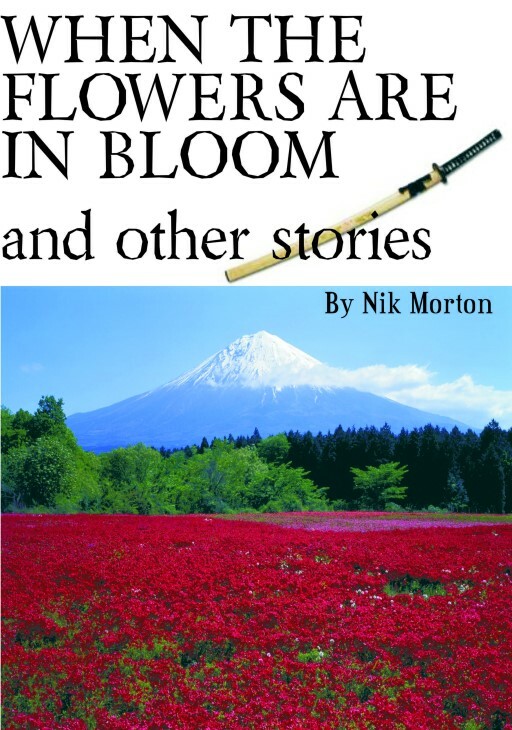 McMurtry employs the omniscient point of view (POV), beloved of so-called literary writers. Not for them the struggle to maintain consistent POV, rather they’d opt for the rather lazy head-hopping that thrusts the reader into the minds of several characters in the same scene. There’s nothing wrong with this, of course – though modern agents and publishers tend to prefer consistent character POV. The main drawback with the omniscient POV is that the reader doesn’t get into any particular character’s head long enough to form a bond. 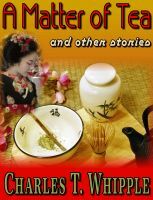 So when a main character dies – and McMurtry does tend to kill off people the reader’s getting to like – the effect isn’t as devastating as it might have been if the character had been more deeply lodged in the reader’s psyche. By its very nature, omniscient POV isn’t as intimate as individual POV. The author is not only playing God, he’s letting you know he is. That apart, I enjoyed the book immensely and was moved in parts. I felt that the creation of Gus McCrae is a classic – though inevitably we learn most about him from his voice, not his intimate thoughts. So, don’t be put off by this tome’s length. It’s well worth reading. There’s a prequel and a sequel too! Contamination 6 months after the double whammy that hit Japan. It won't go away. Japan’s heavy reliance on nuclear power is now seen as a serious mistake. Naturally, it’s easy to be wise after the event. And, to be fair, the damage sustained by the Fukushima nuclear plant was not in the Chernobyl league, serious though it is. Considering the tremendous forces that the plant withstood, the engineering safeguards seem to have worked – if only just. Hubris prompted siting many nuclear power stations on the cusp of the quake-prone archipelago. Maybe financial and political expediency had something to do with it. Near the Fukishima Daiichi plant is the ghost town of Minamisoma, which suffered the loss of several hundred residents during the disaster. Then the remaining thousands were evacuated. Their lives and livelihoods are on hold until something can be resolved. How many more lives are in stasis – perhaps due to government intransigence? See Charlie Whipple's website http://chucktyrell-outlawjournal.blogspot.com/ for a lot of detailed background and even moving images. 9/11 is significant as the tenth anniversary of the mass murders of almost 3,000 people from many nations and religions perpetrated by Islamic fundamentalists. This terrible loss of life was due to man’s inhumanity to man. 9/11 also marks the six-month point of the Japanese earthquake and tsunami, a devastating double whammy from Nature against the islands of Japan that claimed over 20,000 missing or dead. In those months, like many, I’ve been moved by the resilience of the Japanese, particularly the many orphaned children, who strive against formidable odds to rebuild not only their lives but their nation. I thought that in the lead up to this six-month marker, I’d open up some discussion on the effects and consequences of this natural catastrophe. 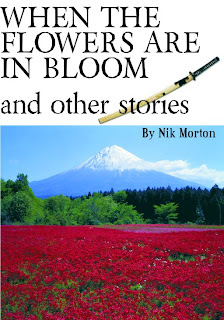 All author and publisher royalties go toward aid of the Japanese earthquake/tsunami survivors for these 2 e-books: WHEN THE FLOWERS ARE IN BLOOM by Nik Morton and A MATTER OF TEA and other stories by Charles T Whipple.